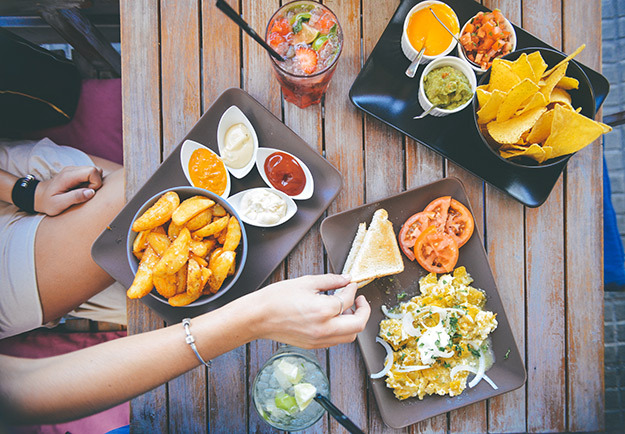 How to Visually Market Your Restaurant | ASTRALCOM - Content Strategy, Conversion Marketing and Customer Acquisition. How many times have you scrolled through Instagram or Facebook only to see dozens of meals photographed by friends and family? The #food movement has taken social media by storm – and it’s not slowing down. Restaurants, take note! Modern Restaurant Management has some great ideas to help accelerate your brand presence on social media and beyond. Posting hit dishes to Instagram is just the beginning. Think about the way your brand looks – your menus, your website, the walls of your dining area, the napkins – the entire experience is brimming with opportunities to provide special touches that instill a sense of place and memory in your customers. A recognizable logo and a pleasing touch like a sticker or small piece of swag at check-out are additional ways to help improve brand recall. If you’re looking for ways to extend your restaurant’s brand presence beyond signage and signature dishes, ASTRALCOM is here to help! Get in touch today to discuss the best forms of visual marketing for your brand.